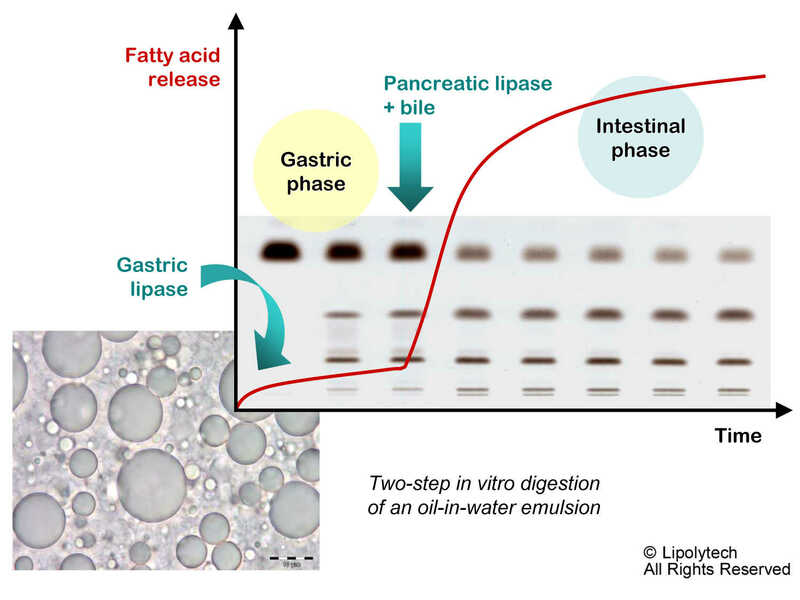 We provide in vitro digestions services using a two-step static model including all relevant gastric and pancreatic enzymes. We offer you an expertise in enzymatic assays as well as lipid analysis to help you in the digestibility studies of your products. We provide you advices to choose the more relevant conditions and to adopt the best analalytical methods. Please contact us to request a service or consulting.